I’m going to share with you how to do keyword research in today’s world of Google. It’s way more difficult to rank on Google today than it was back in the day. Keyword Research Tip #1: Pick a niche. Everyone’s talking about going after big terms like auto insurance, SEO, credit cards. Yes, you can eventually get there, but it takes six months to see traction with Google these days, 12 months to start seeing your traffic go up, and two years to be crushing it on Google. You want to go after and pick small niches. Keyword Research Tip #2: Pick buzzwords that are trending. Technology is moving so fast these days that things are continually changing. Whether it’s cryptocurrencies or whether it’s new products that are coming out like the iPhone 100. Go after new, upcoming words. You can find them using Google Trends. Google Trends breaks down what’s hot and what’s up and coming. You want to go after these keyword terms because they’re not that competitive yet. Keyword Research Tip #3: Use Ubersuggest to find keywords. These are really popular terms. Ubersuggest will show you different variations of your primary keyword, and it’ll even show you how competitive they are, how much search volume you’re going to get, and how many people are going to click on your listing if you rank number one, two, or number 10. Keyword Research Tip #4: Use Quora. Type in keywords related to your industry, and you’re going to see the most popular questions people are asking. When you start seeing the most popular questions, you’ll know what kind of content to create that’s related to your space. By creating answers on your blog that are more thorough, more detailed, you’re not only going to rank for it, but you’re going to rank higher because you can create way more detailed responses than Quora itself. Keyword Research Tip #5: Focus on a theme. If you’re going after credit cards, you want to have a website all about credit cards, like Credit Karma. Or you want to have a site all about marketing and SEO like me on NeilPatel.com. If you want to get long tail traffic, what you need to do is create detailed content about specific individual topics. When I say detailed topics, I’m NOT talking about “how to start an e-commerce site: I’m talking about “how to start an e-commerce site with Shopify.” You see how much more specific that is? You can create another article on how to create an e-commerce site using Magento. By getting very specific you can have a 10,000-word blog post and everything about setting it up with Shopify or Magento, you’re going to dominate. By being specific, anyone who’s interested in that topic and even potentially interested in hiring consultants or buying products or plugins or whatever you’re selling related to that topic, they’re going to land on your website. When Google releases an update, they’re going to rank the most thorough website. That’s why Wikipedia does well. It’s not just because they have a lot of links or brand queries. It’s because Wikipedia has some of the most detailed articles on the web. That’s what you need to do with your content. Create pages that are super thorough and detailed are high in quality. When you do that, you’ll notice that you’ll start ranking for all the keywords related to your industry. That’s how you do keyword research in today’s world. 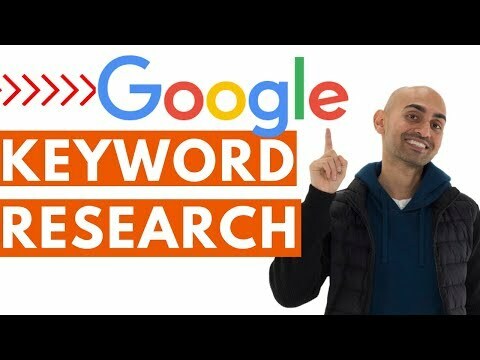 If you’re still struggling to figure out what keywords to go after or how to do keyword research in today’s Google world, leave a comment below, and I’ll help you out. Please subscribe, like, fan, share this video, tell other people about it. I would appreciate it.